I prefer to have the various components of my language arts curriculum (grammar, spelling, vocabulary, and writing) complement each other. When you use different curriculum for each individual aspect, there can be overlapping as well as different levels of abilities or gaps. That’s one of the reasons that JacKris Publishing is so attractive for many homeschooling families. JacKris Publishing offers eight levels of language arts. They specialize in providing the highest quality language arts programs to educators of all types regardless of their beliefs or affiliations, thus it is a good fit as a secular language arts curriculum. It’s based on a 36-week school year, so essentially you could teach it 4 times a week and finish sooner, which is what we would do. For Levels 1 and 2, the learning and exercise portions are combined into one book for each level. For Levels 3 through 8, the learning portion is contained in a separate Student Manual, with the exercises located in a separate Student Workbook. Read Cathy Duffy’s review of Growing with Grammar here. You can preview samples on their website by clicking on the level. Soaring With Spelling also has eight different levels and just like Growing With Grammar, each “level” corresponds with the same grade. This part of language arts is divided into five separate days. Each lesson within the level 1 spelling and vocabulary program contains 6 list words, 8 words in level 2, and it increases gradually with each level, ending with level 8 having 20 list words. Read Cathy Duffy’s review of Soaring With Spelling here. You can preview samples on their website by clicking on the level. Like the other two subjects above, Winning with Writing has eight different levels and each “level” corresponds with the same grade. It is also taught over five days. The difficulty increases with each level, for example, level 1 covers introduction to sentences, different types of sentences, organizing your thoughts for writing, main topics, details, and detail sentences, among other things and level 4 requires students to write three paragraphs for each writing assignment. You can find samples, table of contents, and scope and sequence on each level of the individual programs on the website. Many students find it easier to understand the mechanics of grammar by focusing on diagramming sentences while learning basic grammar concepts. Digging Into Diagramming does just that! Each lesson contains sentence diagramming instruction as well as sentence diagramming problems to be completed by the student. This book starts with basic sentence diagramming and progresses through more difficult sentence diagramming concepts. 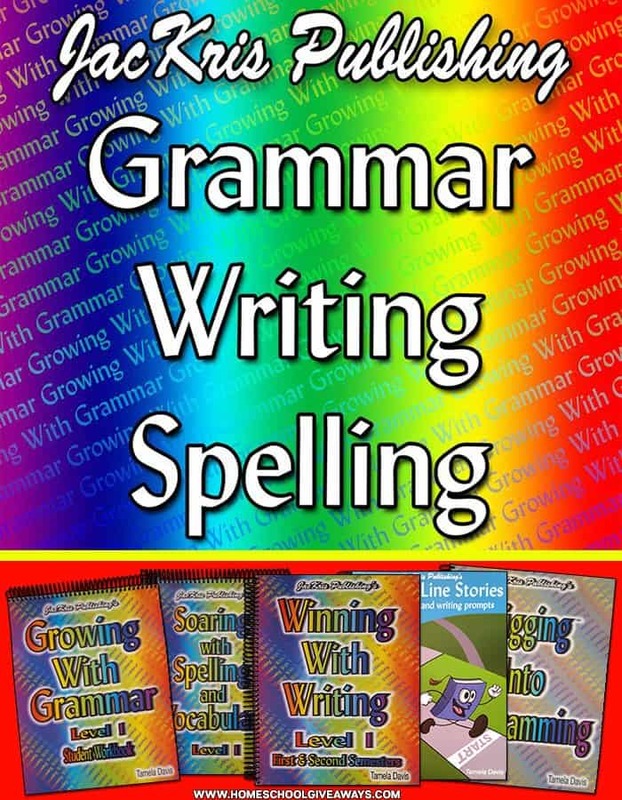 This program can be used as a supplement to the Growing With Grammar program (Levels 3 – 8.) Click here for sample lessons and to view the table of contents. Starting Line Stories contains 70 story starters and 30 writing prompts. Unlike a formal writing program, these activities are designed simply for students to express themselves through creative writing. In the space provided, students write a short story starting from the idea of the story starter or answer questions from the writing prompt. There is also space for students to draw a picture to go along with the story.